Looking for glass in the Shire? Valiant Glass provides fast glass replacement service and installation of a variety of glass products throughout the Sutherland Shire of Sydney. Our team of local glaziers is fully qualified to carry out all types of glazing in domestic or commercial properties. Our specialty is emergency glass replacement of window glass, glass for doors, shop window replacement and all other types of glass found in homes or businesses. Areas including Cronulla, Caringbah, Miranda, Gymea, Sutherland, Menai, Kirrawee, Taren Point, Sylvania, Engadine and surrounding Sydney suburbs are all service by Valiant Glass. 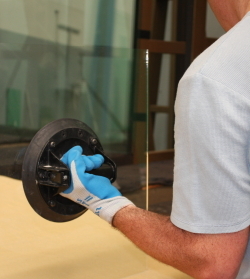 Call you local Sutherland Shire glazier to arrange your glass replacement or glass installation.